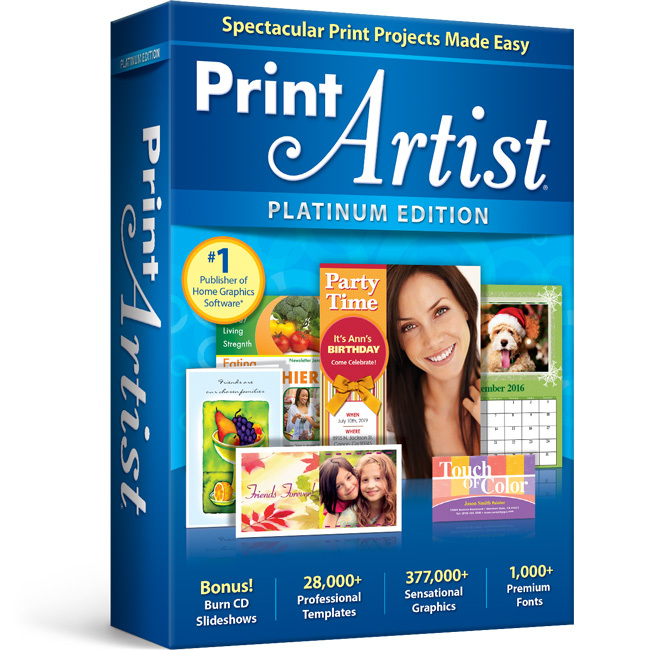 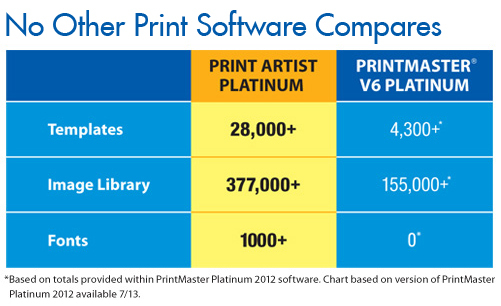 Print Artist® Platinum 25 is unlike any print software you’ve ever used - its unparalleled quality combined with unprecedented ease of use lets you produce amazing print projects for your home, school or business. 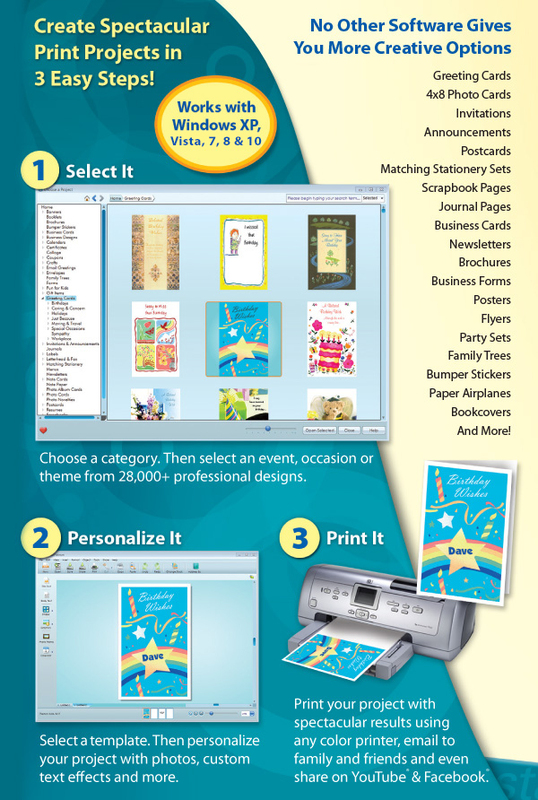 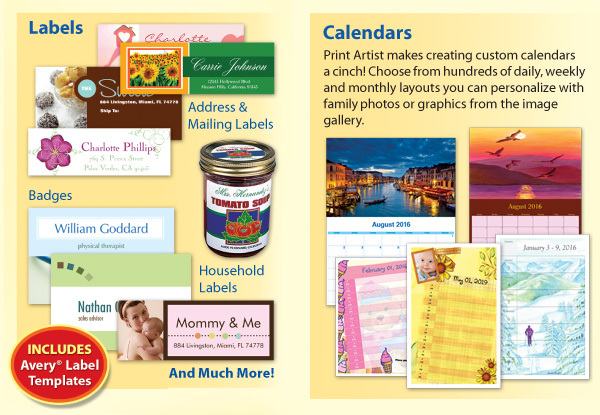 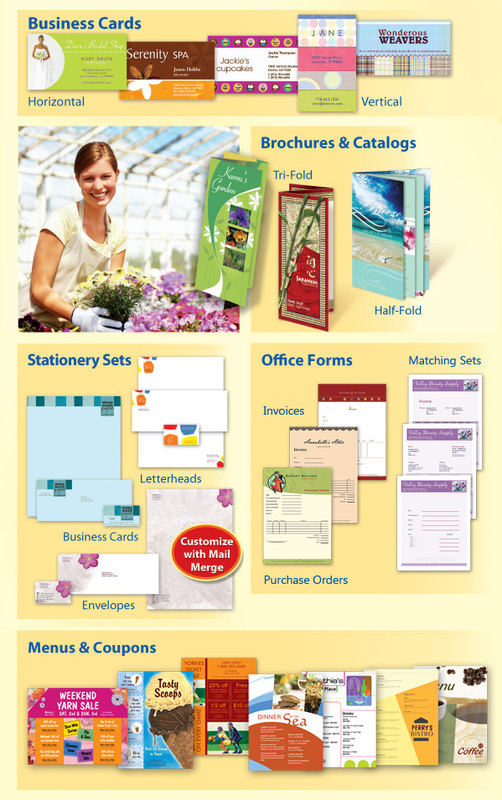 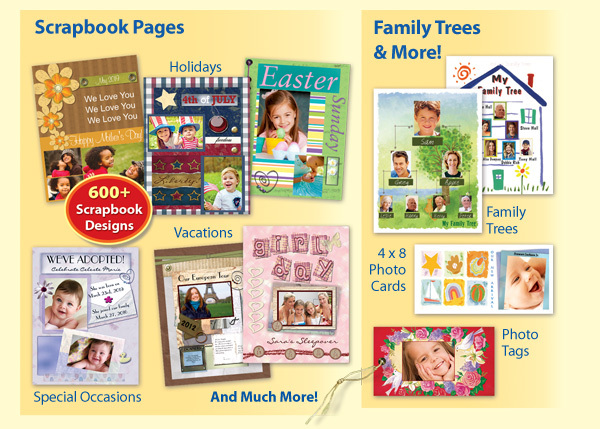 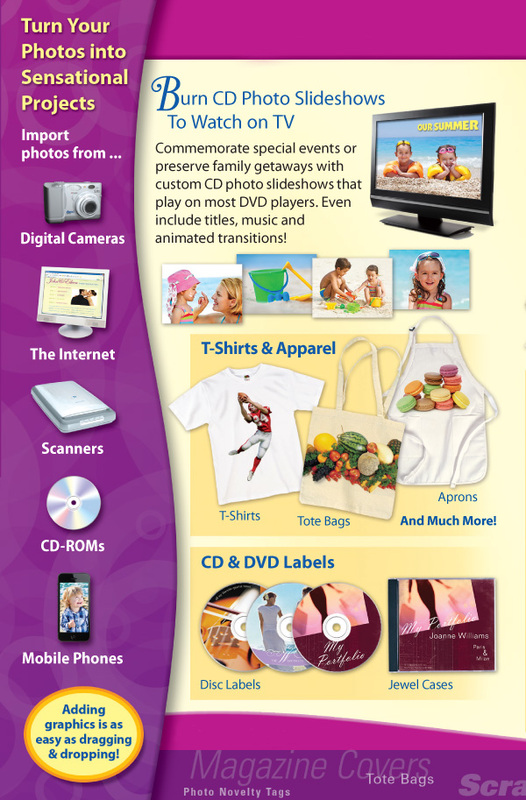 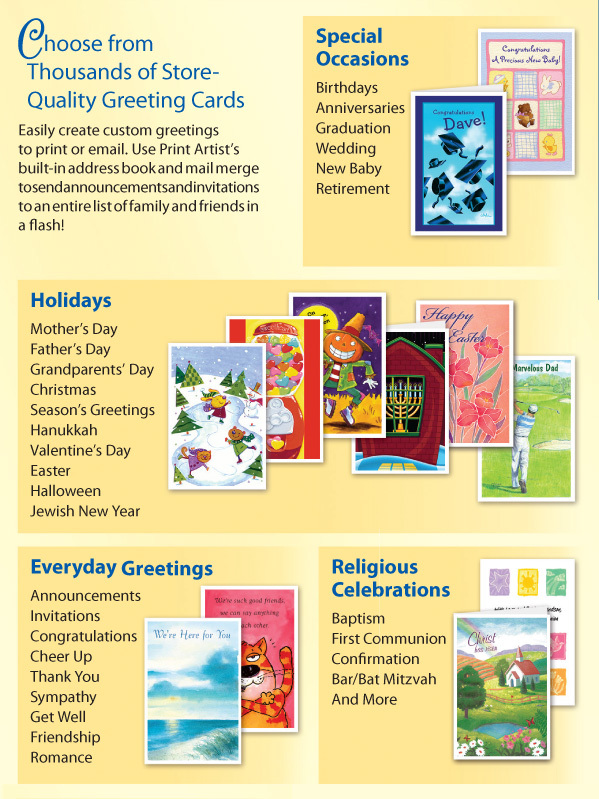 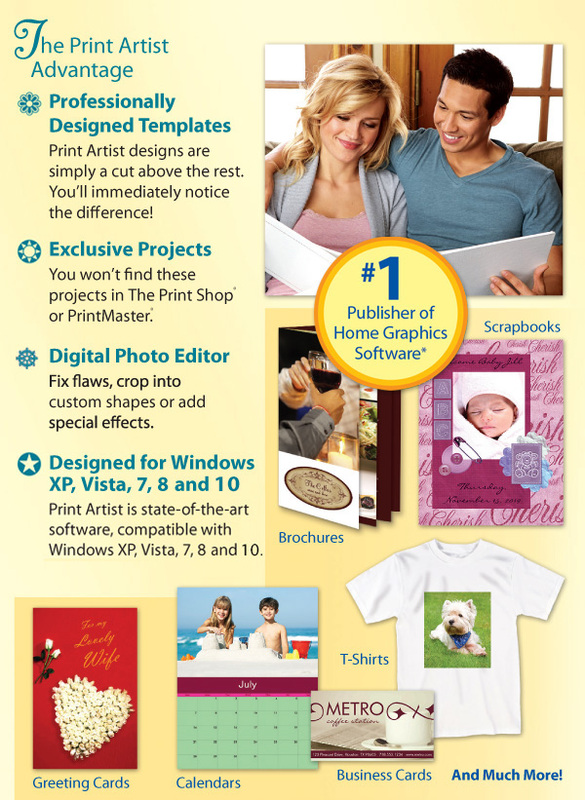 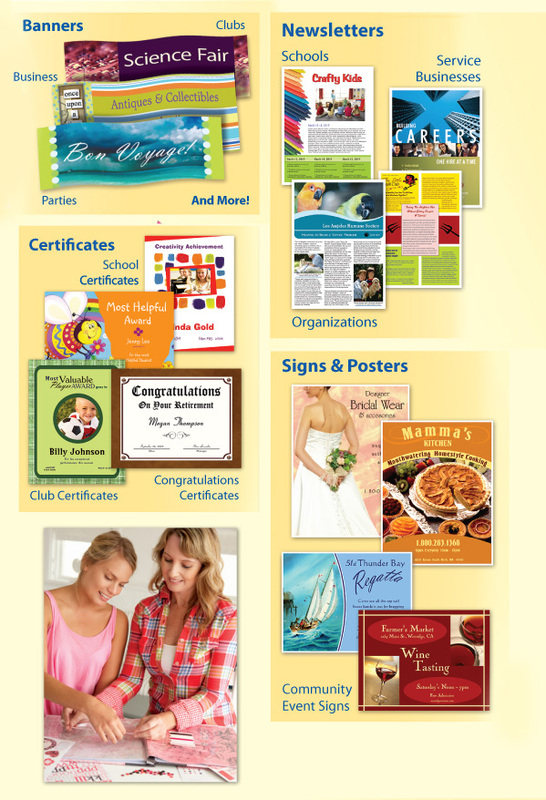 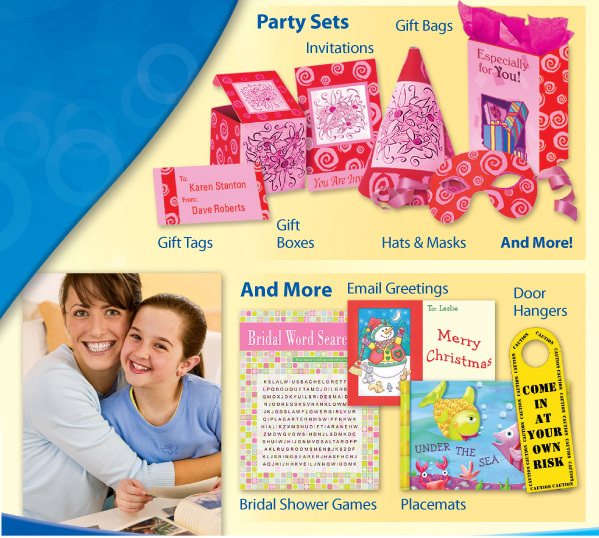 Impress friends, family and clients with the creative edge that only Print Artist Platinum can offer – 28,000+ professionally-designed templates, 377,000+ sensational graphics, 1,000+ premium fonts and more! 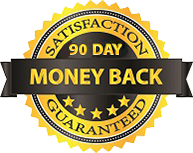 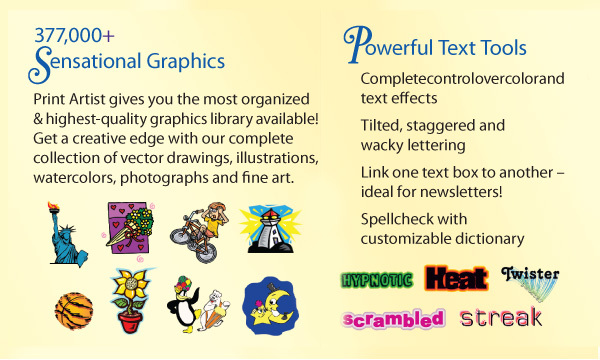 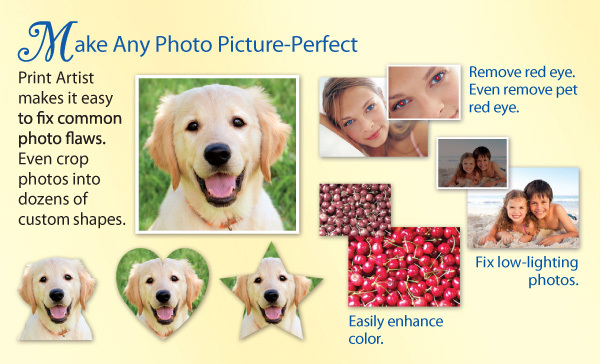 With its powerful, yet easy-to-use design, text and drawing customization tools, advanced photo editor, special text effects gallery and more, you’ll be creating expert, eye-popping print projects with a professional, custom look that truly raises the bar!